Doing your best to look after your health is a key to enjoying the highest quality of life possible, which is why we’re always encouraging our patients to make choices that keep their mouths — and the rest of their bodies — in great shape. We’re particularly concerned about oral cancer. This devastating illness affects tens of thousands of lives each year, and we don’t want you to become another victim. Your dentist in Costa Mesa is here to talk about some of the facts surrounding this fearsome disease. More than 50,000 people in the United States are diagnosed with oral cancer each year, resulting in roughly 10,000 deaths. Those statistics are sobering, but you might still reason that your risk is minimal. After all, smoking and heavy alcohol consumption are two of the lead causes of oral cancer, and if you have neither of these habits, you have nothing to worry about, right? Well, wrong. Anyone can get oral cancer, even folks who have never touched a cigarette. In recent years, there has been rising concern over the connection between the human papilloma virus (HPV) and oral cancer. HPV is the most common sexually transmitted virus; about 12,000 people between the ages of 15 and 24 are infected with it each day. Most people who have HPV are unaware of the problem because it doesn’t always present symptoms, but certain forms of it do greatly increase the chance of developing cancer. If you smoke or chew tobacco, quit. This may be quite difficult, but making the effort could save your life! Also, do your best to avoid exposure to secondhand smoke. Always use sun protection. When you spend time outdoors, use a lipbalm with some SPF in it, or wear a sunhat to protect your mouth from ultraviolet rays that can eventually lead to cancer. Be cautious when you’re physically intimate with a partner, especially if you were never vaccinated for HPV. Eat plenty of fruits and veggies. Consuming a diet that is rich in antioxidants and other amazing nutrients will help to protect your entire body from cancer. There is no way to completely eliminate the chance that you’ll get oral cancer, which is why it is so important for everyone to get screened regularly. An oral cancer screening is a quick, painless and noninvasive process that your “dentist near me” can perform during the course of a regular checkup. We’ll make a visual and tactile examination of your mouth and the area around it, and if we spot any areas that look suspicious (for example, a lump or patches of discoloration), we’ll recommend that you visit a physician for a further examination. 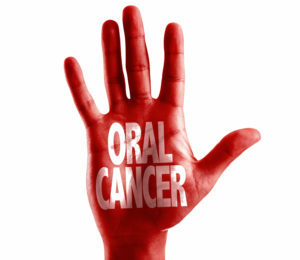 Please don’t let yourself become a victim of oral cancer! Knowing the facts about this disease and getting screened regularly could save your life! Dr. Jeremy Jorgenson leads the team in our office. He truly enjoys looking after his patients’ oral health, and he encourages everyone to get regular screenings for oral cancer. If it’s time for your next checkup, please contact our office at 714-424-9099.